Penny is amazing! She photographed 3 of my dogs and has done a great job with each one. If you are looking for a photographer with the experience to capture the perfect picture of your pet, she is the one. - Laura M.
Love Heads or Tails Photography!! She photographed my two fur babies, a German shepherd, and a Yorkie. Loved all the pictures. She really captured their true personalities. She's a real animal lover and it shows. 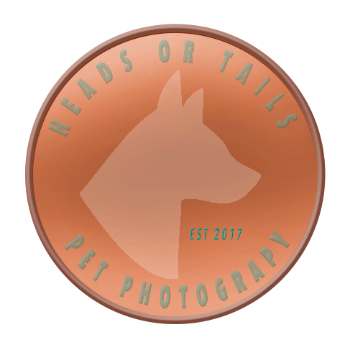 I would HIGHLY RECOMMEND Heads or Tails Photography for all your Pet Pics!!! - Tammie L.